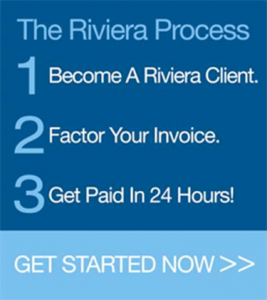 Factor your freight bills for immediate cash with Riviera Finance. Running a trucking company doesn’t have to be complicated. When you work with Riviera, we’ll help you take care of the details, paperwork and cash flow, so you take charge of running your business. It’s never been easier for truckers to get cash! We purchase your freight bills and advance you the cash within 24 hours, so you don’t wait to get paid. Riviera has been helping truckers with their cash flow needs since 1969 and we’re here to help you too! Learn more about factoring here (To return to this page, simply click on your back button). When you work with Riviera, not only will you get up to 95% cash for your freight bills immediately, you’ll also get: credit checks on your customers, processing of your freight bills, complete collection services, and customized management reports. And you’ll receive professional service from a dedicated account team at one of our fully staffed business offices. Visit our Locations page to find the Riviera office closest to you. Never worry about getting paid! Just fill out the online application, and we’ll get started on the rest. Why Wait? Get Started Now! For information on factoring your freight bills or the compliance services listed above, click here and fill out the simple form and we’ll take it from there! Are You Just Starting Up? We Can Help. The first steps in starting a legal trucking company are obtaining Motor Carrier Authority, proof of insurance and establishing a file process agent in the states where you will travel. Each state has a wide variety of requirements for proper license plates. Depending upon the operations of the vehicle, a state base plate or International Registration Plan (IRP plate) may be necessary. An IRP plate and cab card are required for any vehicle that crosses state lines. Failure to carry these can result in fines and vehicle detainment. 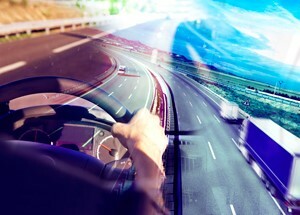 Laws and regulations pertaining to motor carriers vary from state to state. RTS is the expert at understanding and helping you to comply with regulations. “For hire” carriers must register their ICC Authority with their state base. All motor carriers must open fuel accounts and be properly permitted according to state laws. To comply with the various state regulations, your company must keep detailed trip reports and pay fuel taxes quarterly. Because the tax rates vary from state to state, the process of reporting can be detailed and cumbersome. Improper filings can result in fines, penalties and interest. According to the Department of Transportation, any company operating commercial vehicles over 10,000 lb. gross vehicle weight across state lines must comply with Federal Motor Carrier Safety Regulations. Briefly stated, the regulations include requiring a driver handbook/safety manual, maintaining driver qualification files and log audits, and running a proper preventive maintenance program. The DOT has the authority to shut down or levy hefty fines against a carrier that is not in compliance with these regulations. Let Riviera Finance help you with starting your own trucking company. Contact us to learn more about this service.